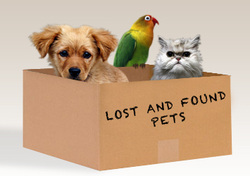 What to do if you lose a pet? - Contact local vet clinic (Estuary vet clinic 384 3075), SPCA (349 7057) or Animal Control CCC (941 8999). Starting at about 8 weeks of age, it is important to remember that until about one week after their last vaccination at about 12/16 weeks of age it is recommended that you do not take them into public areas such as parks or on footpaths etcetera as they are not yet fully covered and are still able to pick up diseases. Puppies can go onto another dogs property to play so long as that dog has been vaccinated regularly. 1. While packing up on moving day, confine the cat to one room with a litter tray, water, food and bed. If you have a nervous cat, confine them already the day before. 2. Confine your cat at the new house to one room with litter tray, water, food and bed. 3. Once house has been setup, close all external doors and windows and release the cat from the room so they can explore their new environment. 4. Keep your cat 7-14 days inside - each cat is different. General rule = if your cat is unsettled inside, do not let them outside yet. 5. Keep food to a minimum the day you let your cat outside, this way they are more likely to stay around for food. 6. Create a meal time pattern, this will make it easier to get them back in at night if you desire (main meal at night). Believe it or not but cats do like their own space. Even if you don't see them fight there is normally a victim and an aggressor. 2. separate bedding areas, maybe at a prefferred height ( cats like to be up high ) and consider covering the bed with a cat house or even a box. 4. Cardboard boxes placed around the house can give cats a sense of security as they can then get away and hide from an aggressor. 6. Feliway - is a pheromone which created a state of well being and security ( it is not a tranquiliser ) - Call the clinic for more advise. 7. Watch out for cats that may sit in a corner, they can quite easily be being inimatated by a cat sitting more than a few feet away , but is being cornered without you even knowing what is going on. We all like to live in harmony, pets and people and sometimes it just take a few modifications to make for a happier life. Call us if you would like any further advice. Check vaccinations are up to date and relevant for the area you are traveling to. Take their normal food and water bowls and beeding etc. Make sure your dog has appropriate identification on. ( plastic key ring with paper id in to write details of where you are staying and contact number ) as well as normal i/d. Avoid car sickness by traveling on an empty stomach , but have plenty of stops for water and toileting. 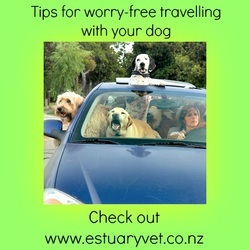 Don't let your dog travel with his head out the window as this can lead to eye injuries. If on the back of a ute or truck deck PLEASE make sure your dog is secure and unable to jump off (use harness instead of attaching dog on collar). If traveling with children and dog in the car please make sure children don't start teasing your dog. If in a crate your dog should be able to walk in and turn around in comfort. Enjoy your holidays and keep safe. Guinea pigs are great fun , the more you put in to them the better fun they are. Be gentle and calm around them as they scare easily. Also remember a Guinea pig can live for about 4-5 years , so you need to be prepared for that. Housing for your guinea pig should be at least four square feet per Guinea pig. They are a social animal that like to live in small groups . Two or more females can become great friends. If you are considering two males together it is best that they be from the same litter . Guinea pigs are prone to heat stroke so watch out for this in the summer months. In the winter months Guinea Pigs like to have plenty of hay or fresh straw to burrow into to keep themselves warm. 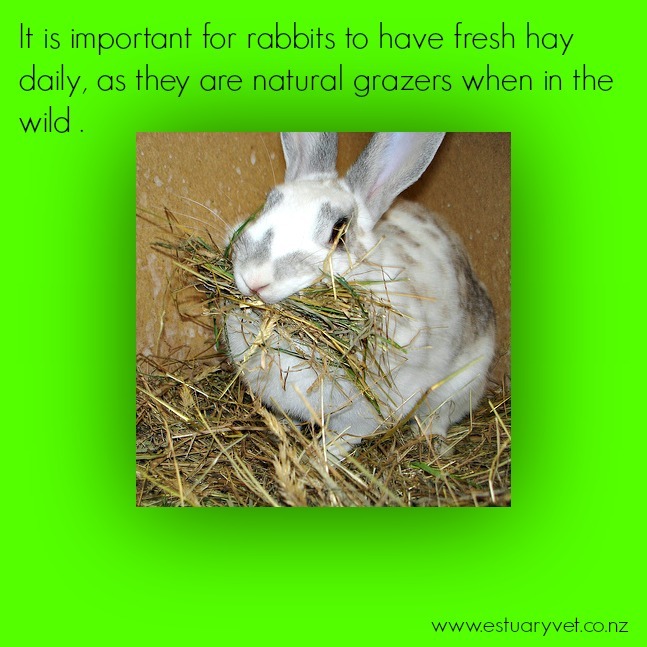 Hay is also good for them to knibble on. They like to hide in cave like containers when they play or sleep so provide them with objects so they can hide and play - flower pots turned on their side are great for this. 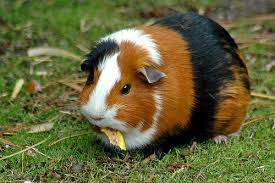 Guinea pigs cannot manufacture Vitamin C so ensure they get a fresh supply each day of vitamin C enriched food. Quarter of an orange a day works well. It is important to keep them cleaned out daily by , remove the soiled bedding and replace with clean each day, and remove stale food. Guinea pigs teeth grow continually , so it is important to give them something to chew on at all times (don't t use treated bits of wood).